The Green Sheet :: E-Magazine :: What does cryptocurrency mean for ISOs? What does cryptocurrency mean for ISOs? Cryptocurrency isn't a significant factor for ISOs yet. Talk abounds in the industry about how cryptocurrency will alter the way we exchange the value of goods; however, the traditional merchant services model has the advantage and appeal of widespread acceptance. When you go to a store, you expect to be able to pay with any major form of credit card via the major card networks. When a payment is sent, all parties are in agreement that the form of value will be money in whatever currency that has been determined. In essence, the customer, merchant, acquirer, network and issuer expressed consent ‒ prior to the transaction ‒ that they will accept certain currencies. With cryptocurrency, acceptance is not widespread. It is, however, gaining traction. 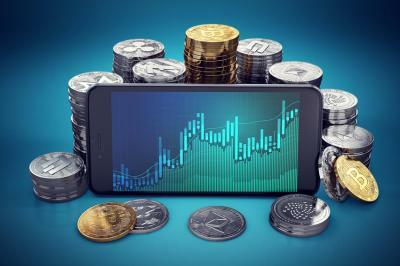 I'm sure you've heard of various types of cryptocurrencies, including bitcoin and Ripple XRP, but you may not know how they differ. Although there are extreme differences in how each one ends up in the hands of the consumer ‒ technology differences, and so on ‒ think of the various cryptocurrencies as distinct currencies. It is cryptoCURRENCY, after all. The main cryptocurrency that ISOs should be concerned with is bitcoin. Why? Because it has the highest amount of acceptance as a payment method within the payments ecosystem. Many of the large online and in-store retailers accept bitcoin as payment, including Microsoft, Expedia, Newegg, Wikipedia, eGifter and many others! As cryptocurrency continues to evolve, more points of acceptance will pile onto the ecosystem. As those points of acceptance increase, the more important cryptocurrency will become to ISOs. So what do you need to do in the meantime? As an ISO, educate yourself on the basics of cryptocurrency and how and why the technology is relevant. Also understand that blockchain is not cryptocurrency; it is the technology upon which cryptocurrency is built. The reason to be up to speed on this is not that you will need to educate your customers regularly; you will, however, need the knowledge for times when customers do ask you for information on cryptocurrency acceptance. If you are representing yourself as the payments expert, it's best to be well versed on all emerging payment technologies such as near field communication; EMV (if you include that as emerging); cryptocurrency, person-to-person options and faster payments. So let's say you really want to offer cryptocurrency acceptance to your merchants. What do you do? First, identify why you want to offer this. Do you believe it is the next big wave in the payments space? Maybe you serve the high-risk sector, and this would help some of your merchants move their businesses forward. Whatever the reason, it's important not to take a shotgun approach. When focusing on a new type of payment, you must have an extremely targeted pitch, one that is uniquely tailored to a predetermined group of people. When it comes to accepting cryptopayments, you have a few options. The first, and most obvious, is to partner with a POS or software provider to resell that company's solutions. This should be a familiar route for most ISOs, so I won't spend time explaining it. The second, and preferred, is to build something yourself. If you do not have a technical team that is able to develop it, you may partner with an organization that can build a terminal-based application or even build out an entire POS solution. The reason this is preferred is that it gives you complete control of the merchant experience while maximizing your profits, since you will not have a buy rate. The second option also allows you to resell your solution to other ISOs, which can propel your organization in the direction of massive growth. It also sets up your organization to become more of a technology company, which will push operational efficiencies and offerings to a higher level. Jordan Olivas is a Director at RS Software Inc., a company that helps ISOs, banks, terminal, acquirers and bill pay companies become technology leaders in the payments space by increasing margins and operational efficiency through custom software. development, gateways, EMV certification, consulting, merchant boarding solutions, and testing tools. He can be reached at jordan.olivas@rssoftware.com. Cashless and cashier-less: a revolution in the making? Prevention Alerts , Chargeback Gurus Inc.